On Friday 10th March Agri Aware held a Farm Walk and Talk for Second Level students at Moorepark Dairy Research Centre, Fermoy, Co. Cork. The event hosted students from second level schools throughout Munster. An estimated 300 students were in attendance. Agri Aware is the Irish Agri-Food educational body. The purpose of the event was to create awareness for second level students of key aspects of agriculture. Many of the students in attendance were either studying or considering studying Agricultural Science for their Leaving Certificate. The open day presented a great opportunity for them to gain experience and gather information for their exam and project. Dairygold had a stand at the event with speakers who presented a broad overview of the business and its main divisions. There was also a showcase of a sample of the businesses products. 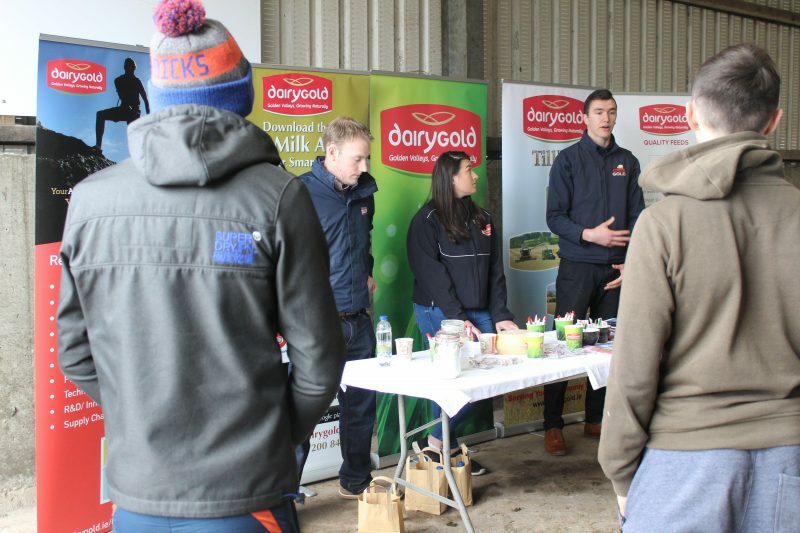 Students were provided with information on Dairygold’s Graduate Programme, which offered students some food for thought on a potential future career in the Agri Food sector. Dairygold staff answered a range of thought provoking questions from students who were very engaged in the presentation and demonstration.